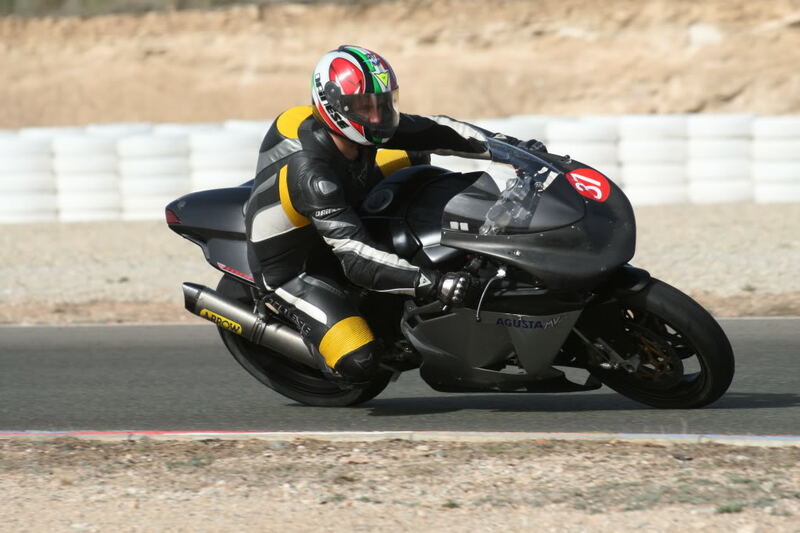 MV Agusta F3 Caught Spied Lapping at a Track Day? We’ve already worked out that this is not the cylinder head to the fabled MV Agusta F3, but these latest photos from a track day in Almeriá, Spain, continue to suggest that the Italian company is testing a new bike in sheep’s clothing. Seen here in F4 bodywork, the bike is rumored to sport a 675cc three-cylinder motor. Photos and more after the jump. We can already tell from these spy shots that the MV pictured has a different chassis design. A different frame, swingarm, and sub-frame are readily seen, not to mention the absence of the undertail exhaust. F3 or not, this is clearly a bike being developed as telemetry gathering hardware adorn the rear seat area. With only a subtle MV Agusta decal on the side, and the modified F4 fairings hiding the rest of the bike, perhaps MV thought they could fly under the radar while testing this mule. Time will tell.